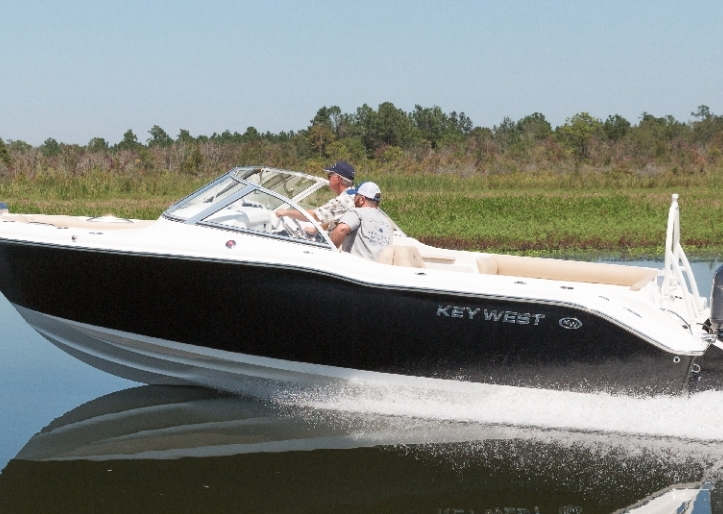 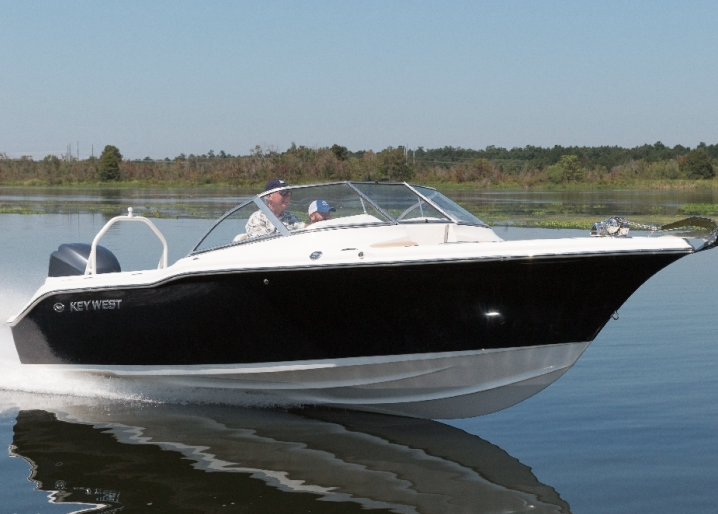 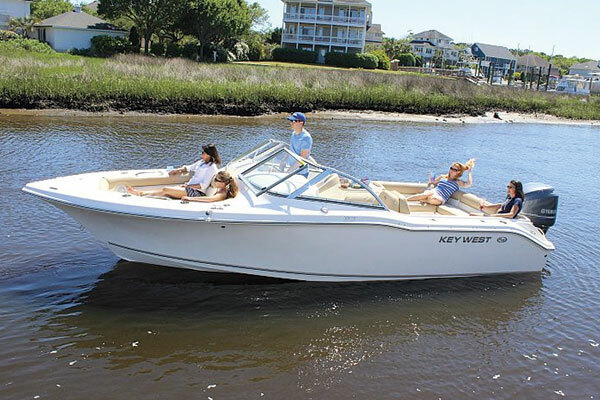 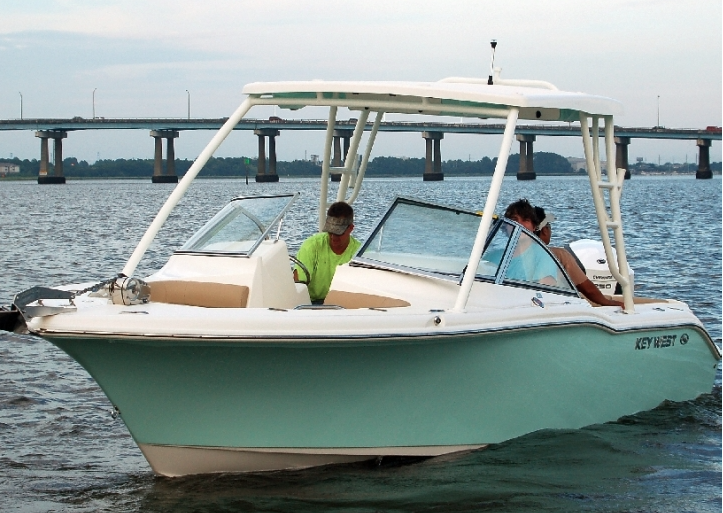 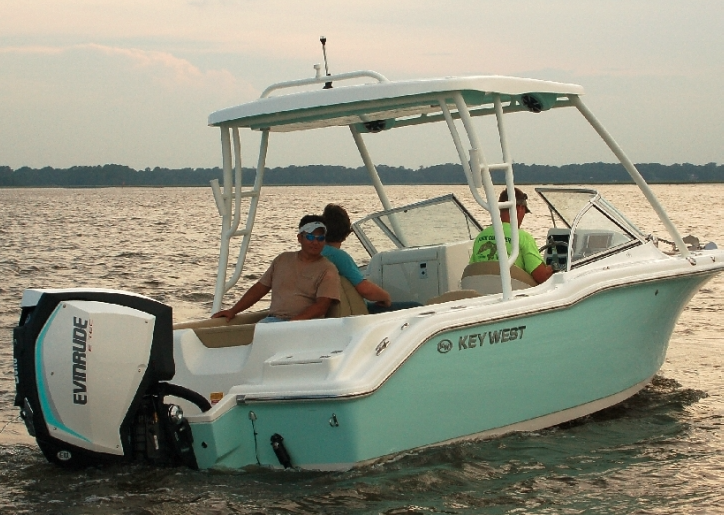 The biggest dual console, bow rider in the Family Sportsman lineup to date, the 239 DFS is loaded with amenities, comfort, style, and performance. 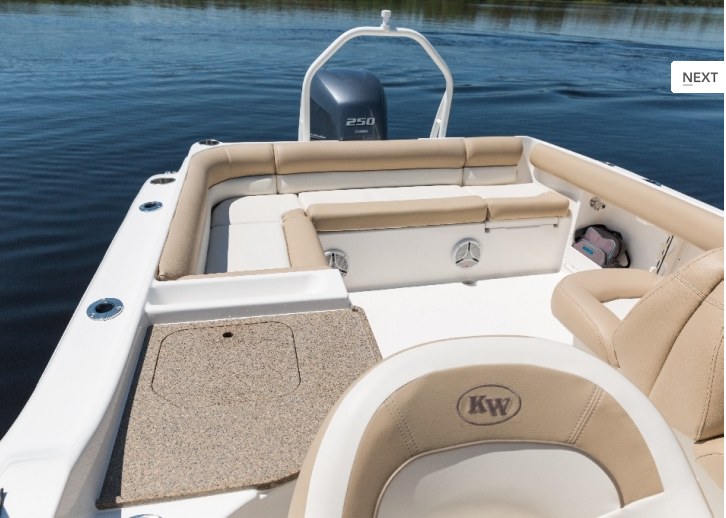 Like the rest of the fleet, this big runabout is self bailing and foam filled to provide level and upright floatation, giving your family one of the safest platforms on the water today. 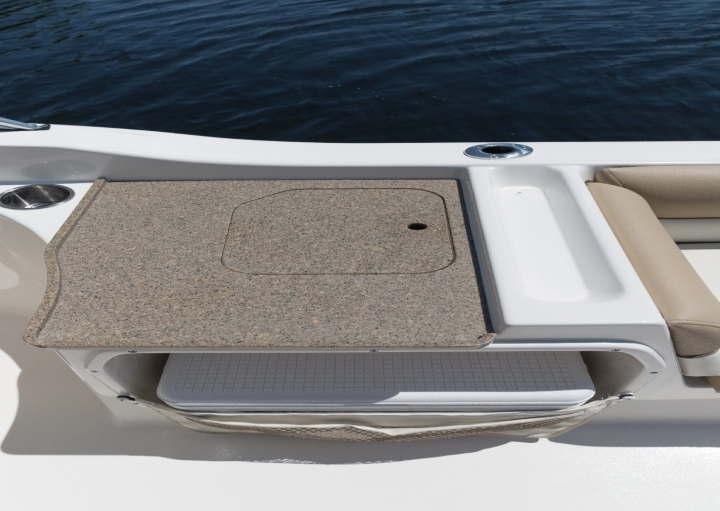 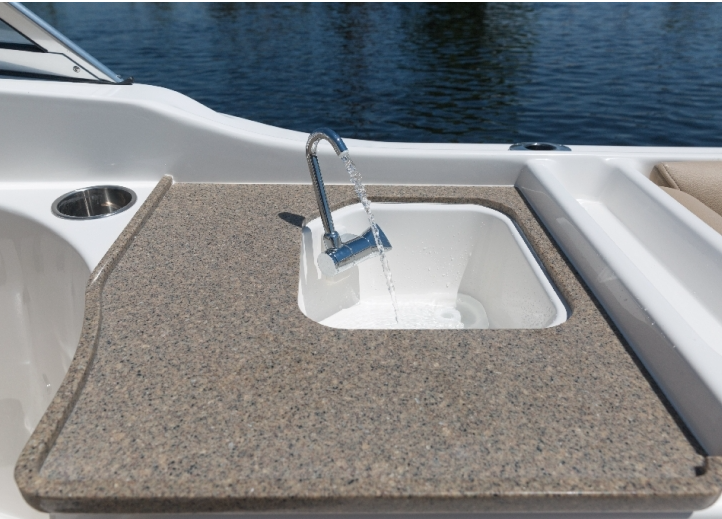 One of the most comfortable and convenient models for any water activity - with ample seating and storage space, an aerated live well, and a countertop and sink, the 239 DFS truly has it all. 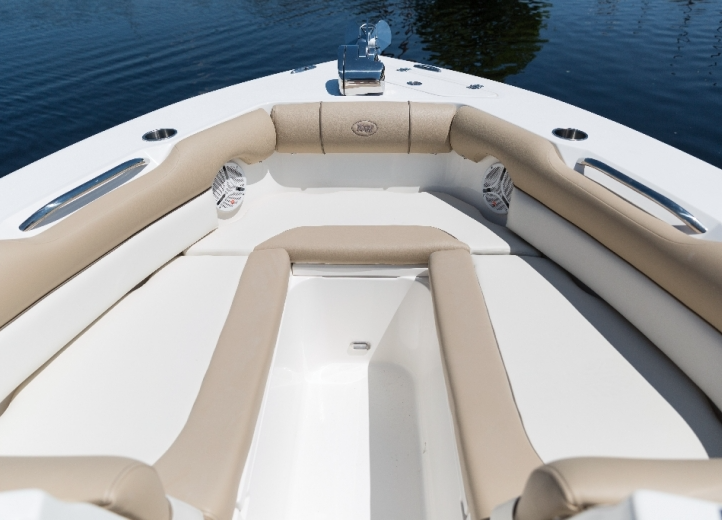 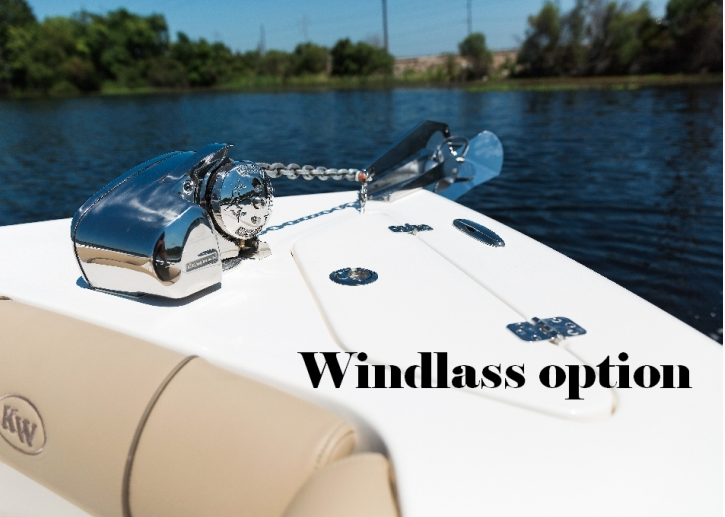 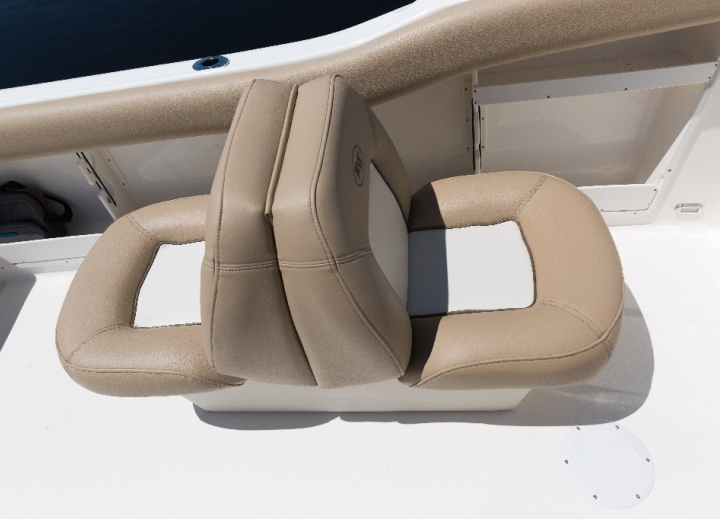 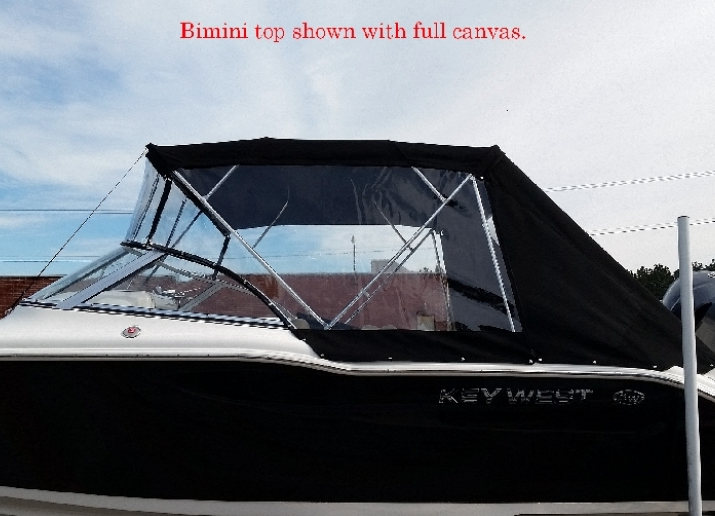 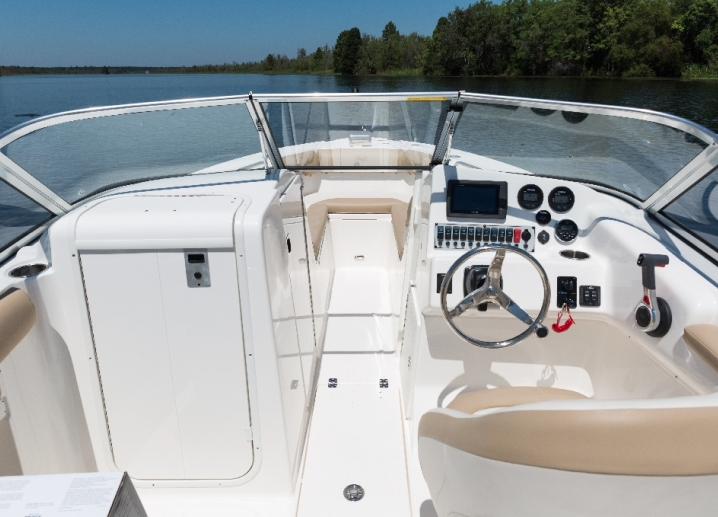 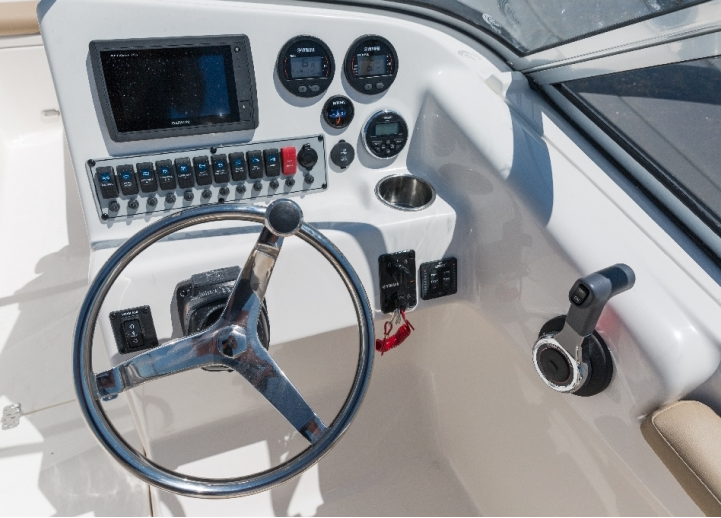 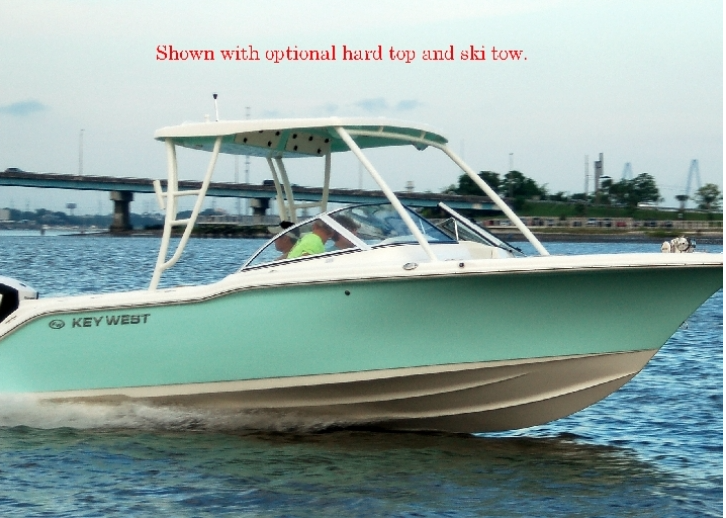 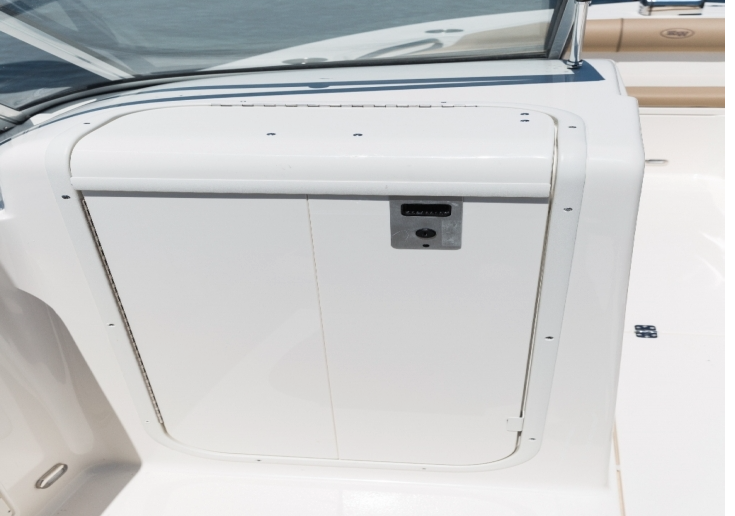 Available for your 2019 season at Tom's Marine, this boat is powered by a 250HP Yamaha and equipped with more than just standard features - we have added a Garmin ECHOMAP GPS with Airmar B150 thru hull transducer, windlass with anchor, rope, and chain, stainless steel bimini and boot with spray shield, blue interior LED lights, pop-up fender holder, bow table with filler board and cushion, deck mount aluminum ski pole, and black bow and cockpit covers. 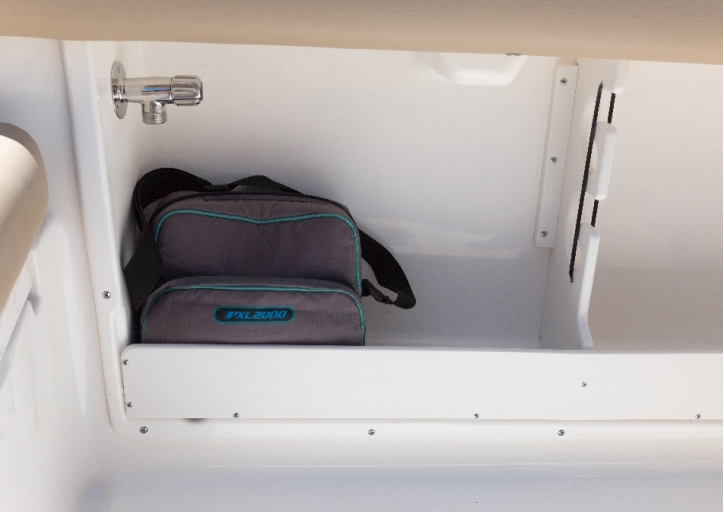 3 rod lockable storage in cabin.